A vehicle crashed through a two-story garage in Hallowell on Monday afternoon. A vehicle crashed through a two-story garage in Hallowell on Monday afternoon after the fire chief says the driver hit the gas instead of the brakes. Hallowell Fire Chief Jim Owens said a woman was pulling into her driveway around 3:15 p.m. when she hit the gas instead of the brakes and crashed through the back wall of her garage. 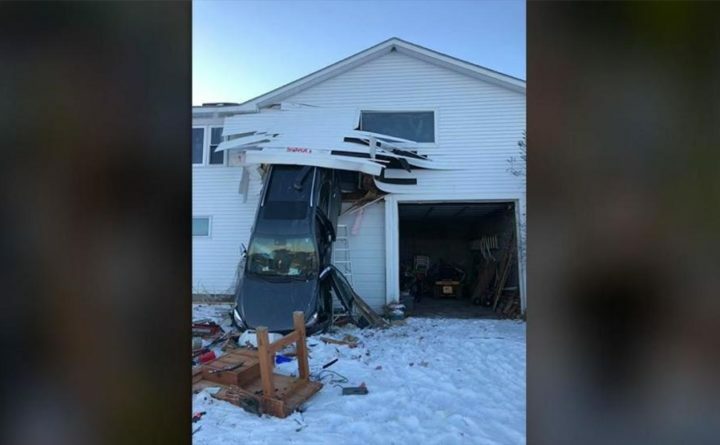 It is a two-story garage with a drop-off in the back. Owens said she went through the street-level garage door, through the back wall and down the drop-off. She was taken to the hospital with chest pain. There is no word on her condition. The home was severely damaged.